The pros will take a crack at my home course, TPC Harding Park, during the WGC Match Play. The pros have taken over my home course, TPC Harding Park, for this week’s WGC Cadillac Match Play event. 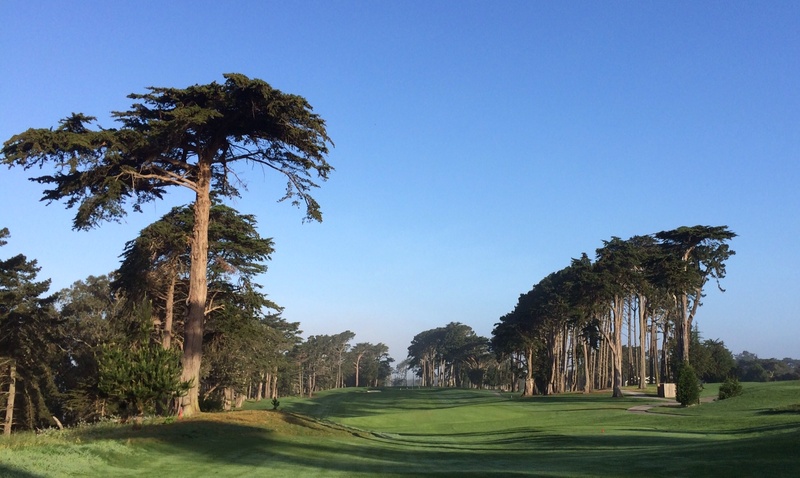 (If you haven’t yet, read my write-up on Harding Park here). In fact, I can’t even play there for two weeks because of this tournament. I figure the least I can do is make a few predictions about what will happen. Winner – Rory McIlroy: I suppose Rory is a safe bet for any tournament. But I really feel that Harding Park is a course that allows him to blow away the field. The course is flat and there is nothing gimmicky about it. Rory performs his best when course conditions are tame and straightforward (think about his two major wins last year). Other contenders – Justin Rose and Patrick Reed: Rose is on fire now. He finished T2 at The Masters and won last week in New Orleans. Reed, as we saw from the Ryder Cup, is a match play monster. Sleeper pick – Jamie Donaldson: We don’t hear much about Donaldson stateside but he’s a tremendous players. He may have been Europe’s best at last year’s Ryder Cup as well. I think he’ll make a strong run at Harding Park. Most likely to disappoint – Jordan Spieth: Spieth is awesome. But Harding Park just isn’t a course well-suited for him. Spieth’s biggest strength is his short game; he can make big putts and get up and down when others can’t. But because the green complexes at Harding Park are pretty mellow, that advantage will be neutralized. Most intriguing first round match – Bubba Watson v. Miguel Angel Jimenez: These are two of the most interesting personalities on tour. There has also probably never been such a disparity in distance from two players. Bubba is the longest hitter in golf, and The Mechanic has to be the shortest hitter in the Match Play field.